Home Contractor's Corner	To lease or buy a van: what’s best for your company? To lease or buy a van: what’s best for your company? When it comes to acquiring a vehicle, the route chosen is a matter of personal preference and, of course, the ability to pay. Outright purchase, lease, hire purchase – there is no wrong or right answer. So, considering that we’re talking about a key part of a tradesman’s business – after all, no van generally means no work – what are the options? Before we can move on, it’s important to note the differences between buying and leasing a van. There are some who like to own their assets rather than pay to use them. For them, outright purchase, either with cash held or a bank loan, is the way to go. They, however, will be responsible for maintenance, repair of any damage and will take the hit on the depreciation over time of the vehicle. That said, once bought the van cannot ordinarily be taken away – owners will be free of any contracts or regular payments (if bought with cash held). Outright purchase means no contractual restrictions on what the owner can do with the van, either in use or aesthetic changes – such as wrapping or sign writing – or modifications – such as extra locks or racking. Also, and this may be important if there’s a slowdown in work, the owner is entirely at liberty to sell the vehicle as there are no contractual issues or payments to worry about. But of course, there’s a question over the cost of cash used to buy the van. Even though interest rates are low, it’s possible to get a better return on the cash through other investments and savings accounts compared to buying a depreciating asset such as a vehicle. 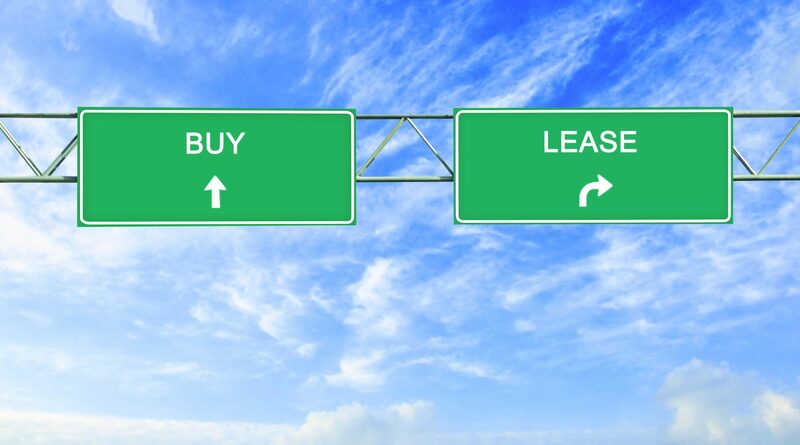 By definition, leasing is radically different to outright purchase, as it’s a contract to use rather than own a vehicle in exchange for a regular, normally monthly, fee. And this monthly fee is the critical factor for some, as it means that a van can be acquired without the need to tie up working cash that can be better employed elsewhere. The cost of usage – because ownership is not a consideration – is spread over the term of the agreement; all that is needed is a good credit reference and the deposit which will invariably equate to three payments upfront. Most, but not all, leases include the cost of maintenance and servicing, as well as the cost of exceeding a defined mileage – but this is something that needs the right agreement to be put in place. But as with anything, leasing isn’t straightforward because some leases (termed ‘lease purchase’) can give the user the option to buy the vehicle at the end of the agreement. There are two options here. The first is called hire purchase. Here, the contract requires a deposit followed by monthly payments. At the end of the agreement, the ownership of the van transfers to the user. Overall the cost will be, by definition, higher than for a pure ‘use-only’ lease. Alternatively, it’s possible to sign up to a balloon hire purchase agreement. With these agreements, smaller monthly payments are made and at the end of the agreement the user either hands back the keys or makes a larger ‘balloon’ payment to take ownership of the vehicle. With both of these options, however, it’s important to not lose sight of the overall cost of acquisition which will almost certainly be higher than an outright purchase. Lastly, it’s important to remember that a leasing agreement is just that – it’s an agreement to take a vehicle for a given amount of time in exchange for an agreed set of payments. Leases can be restrictive for those with possibly changing needs. Considering that the UK’s tax system is as clear as mud it’s perfectly reasonable to expect that buying or leasing a van follows different tax rules. In essence, the cost of buying a van can be set against the business tax bill – income tax for the self-employed, corporation tax for those running a limited company. There are different rules for doing this depending on the accounting process used by the business. The VAT on the purchase can be reclaimed if the van is used solely for business purposes. With leasing, as with outright purchase, the monthly payments can be set off against income or corporation tax bills. In contrast when leasing a van, assuming the business is VAT registered, all of the VAT charged can be reclaimed on the monthly fee. But this too only applies if the van is for purely business use. The next question to consider is new or used? Sure, a shiny new van is a thing of beauty and pride, but businesses shouldn’t lose sight of the fact that it’s a working tool and is bound to get mucky, scratched or dented. It’s inevitable. New vans come with a price premium, and for many it’s much better to buy a good used van that someone else has taken the depreciation hit on. And as long as time is invested in researching vans – looking at price, reliability and running costs – it shouldn’t be too hard to make a saving here. And so long as the sales invoice notes the VAT paid and the seller’s VAT number, the VAT can be reclaimed – but again, only if the van is used solely for business purposes. But for some, buying new is the only option – they want the warranty and the comfort of knowing the history of the vehicle. The same principles to research apply but remember one more thing; see if it’s possible to time a purchase with when the dealership’s quarter or year-end is close. The pressure to hit targets will be that much greater and it’s entirely possible to find a dealer willing to sell a vehicle at almost no profit. Why? Because if sales targets are hit they may get a manufacturer bonus on everything it’s sold to others. There is no perfect solution to acquiring a van as it’s all down to personal preference and views on risk and business performance. But no matter which route is taken, good advice from an accountant is key, because the tax rules in this area are too complex to consider in full here.